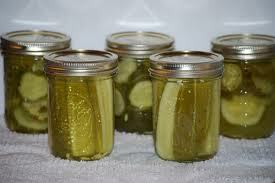 There are several websites about canning and freezing vegetables as well as a variety of books available. I have found Pick Your Own.org to be easy to use and very informative. They provide a large assortment of downloadable pdf files with step by step instructions for canning, freezing, pickling, and making jams and jellies to name a few. For your convenience we have provided links to just a few of those pdf files here. If there is a link mentioned in one of these pdf files that you are interested in and it does not function, you will be able to get to it from www.pickyourown.org/alllaboutcanning.htm. 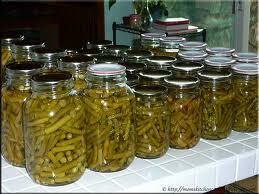 You should visit www.pickyourown.org/alllaboutcanning.htm for many other canning & freezing directions and recipes. They have a great website. If you prefer books, visit our Cookbooks And Other Cool Stuff page. 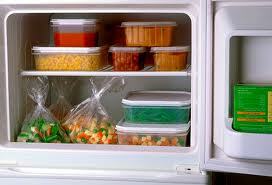 How to Freeze Peppers: Sweet, Bell, Banana, Hot, Chili, Jalapeño and Other Types! How to Freeze Corn – From Corn on the Cob! Freezing Cantaloupes, Honeydew, Watermelons and Other Melons: Easy, Fully Illustrated Step-by-Step Directions and Recipe to Make Home Frozen Melon Balls! How to Make Fresh Tomato Paste with a Water Bath Canner! How to Make Fresh Tomato Sauce with a Water Bath Canner! How to Make Fresh Tomato Sauce with a Pressure Canner! How to Make Homemade Can Creamed Corn – Easily!